What should parents do now? The FDA has finally, in January 2010, reversed its earlier position of calling exposure to small amounts of bisphenol A (BPA) safe. They now agree with the National Toxicology Program at NIH that there is reason for some concern about the potential effects on the brain, behavior, and body of a child when exposed to small amounts of BPA before birth, during infancy, or in early childhood. Together NIH and the FDA are embarking on research for the next 18 to 24 months to answer key questions about BPA and to map out the extent of concern. In the meantime, the FDA has announced that they are taking reasonable steps to reduce human exposure to BPA in the food supply especially for young children. How are children exposed to BPA? BPA is the chemical used to make some plastics transparent and hard. It’s been used in many plastic bottles and food containers; it’s also used in the epoxy linings of many metal food and beverage cans. Either way it can get into what we eat and drink and has been found in the bodies of more than 90 percent of Americans tested.Just changing to BPA-containing water bottles for one week raised BPA levels by two-thirds in a recent study of Harvard college students. I’ve been concerned about the effects of BPA on our children for years (see Raising Baby Green, Feeding Baby Green, or this interview from Stanford). If your baby has already been exposed, there is no reason for panic. BPA has been in common use for decades. Whatever health effects BPA causes, we already see them in the general health of today’s children. It’s not that we’re expecting a new epidemic, but that reducing BPA exposure could lead to even healthier children in the future. They support manufacturer’s efforts to produce BPA-free baby bottles, sippy cups, and feeding containers. 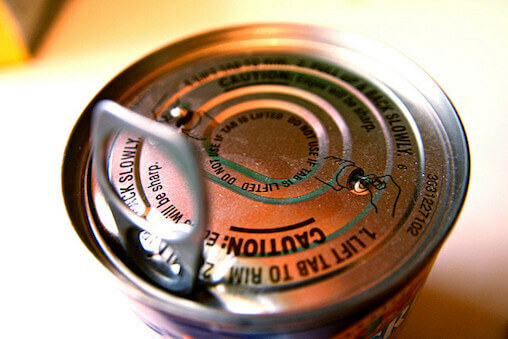 They support efforts to replace BPA or remove BPA from the linings of food and beverage cans. Breastfeed when possible for at least 12 months; when not an option, infant formula is the safest alternative. Discard scratched or worn baby bottles and feeding cups. Temperature matters. More BPA transfers when hot liquids come into contact with the plastic or can lining. Check the labels on your bottles and food preparation containers. In general, plastics marked with recycling symbols 1, 2, 4, or 5 or not likely to contain BPA (remember, 12:45). Or look for products labeled BPA-free. Also, Adults and older children should follow reasonable food preparation practices to reduce exposure to BPA. I’m excited about the FDA’s 2010 New Year’s resolution and expect it to help babies across the country (not to mention older children and adults) have the brains, behavior, and bodies they want for years to come. Carwile, J.L., Luu, H.T., Bassett, L.S., Driscoll, D.A., Yuan, C., Chang, J.Y., Ye, X., Calafta, A.M., and Michels, K.B. Polycarbonate Bottle Use and Urinary Bisphenol A Concentrations. Environmental Health Perspectives, Sep 2009, 117(9):1368-1372. US Department of Health and Human Services (HHS). Bisphenol A (BPA) Information for Parents. US Food and Drug Administration (FDA). Update on Bisphenol A for Use in Food Contact Applications: January 2010.